There’s nothing quite like the cold, crisp taste of a beer right after a workout, and recent research further proves what college athletes have long believed -- a post-game celebration doesn't count unless there’s a keg involved. But can there be something more to this combo? Could booze actually make you more likely to pound the pavement than teetotaling exercise nuts? Which came first, the Michelob or the marathon? 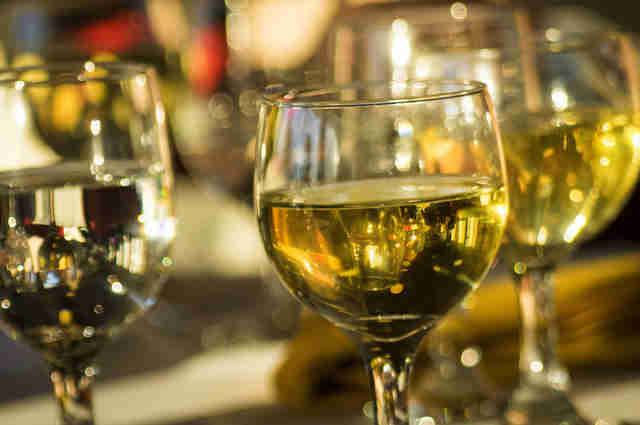 The relationship between alcohol and physical activity is complicated, and while there's long been a correlation between exercise and increased alcohol consumption, it wasn’t until Northwestern Medicine closely tracked the habits of active individuals that it became clear: exercise really does beget booze consumption. In other words, if you’re an exerciser, you’re more likely to be a drinker. Or, more specifically, you’re more likely to drink on days you exercise. So does this mean that, by drinking after that run, you undo all the benefits you got from your workout? Alcohol is good for you! The relationship between exercise and booze isn't necessarily a bad thing. In fact, while there are no apparent performance benefits to downing a brewski after a tough workout (In fact, Outside Magazine went as far as to outline all the ways drinking alcohol is definitely not performance enhancing), the overall health associations between moderate alcohol consumption and exercise appear to be positive. 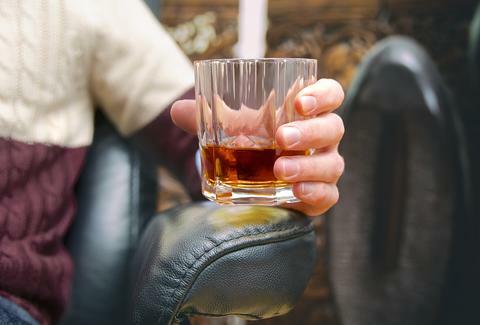 For instance, the Northwestern study found that while exercisers are more likely to imbibe on days they exercise, overall they’re moderate drinkers who are unlikely to drink to excess. That’s in stark contrast to a study out of Johns Hopkins, which found that individuals who rarely or never exercised were about twice as likely to abuse alcohol as those who exercised frequently. Add to those findings the In Vino Veritas study that found wine only protects against cardiovascular disease in people who exercise. I’d say that’s a good reason to get on the treadmill, because Lord knows I’m enjoying my wine. But what is it about exercise that encourages drinking… or is it the lure of drinking that encourages exercise? More studies need to be done to examine the whys behind post-exercise alcohol consumption, but it doesn’t take a research lab to make a few educated guesses as to why alcohol consumption spikes after physical exertion. In other words, whether you’re lifting weights at the gym or running 26.2 miles with hundreds of other crazy people, exercise is often a social experience, and there are social and motivational rewards experienced through exercise that encourage the combination of physical activity and drinking. I have to admit, I’m right there with her. I tend to drink only on nights I’ve worked out. I see my glass of merlot as a reward that I “earn” by hitting the gym. While I have no illusions that my wine is helping me recover, it’s an enjoyable way to chill out before I hit the sheets. All this anecdotal evidence is nice, but where's the science? Well, there’s an interesting angle that scientists have considered: the potential combined “high” induced by exercise and drinking. And who doesn’t love a better high? In a study just published in Frontiers in Psychiatry, the authors point out that the reward receptors in rats’ brains light up in response to exercise and drinking, albeit in slightly different ways. When given the chance to exercise and drink, rats took the bait (figuratively speaking) and did both, rather than opt for one or the other. No similar studies have been done on humans, so it’s an imperfect supposition, but it’s not a huge leap to assume humans might have a similar cognitive experience. If an exercise buzz feels good, and an alcohol buzz also feels good, but different, why not combine the two for double the buzz? 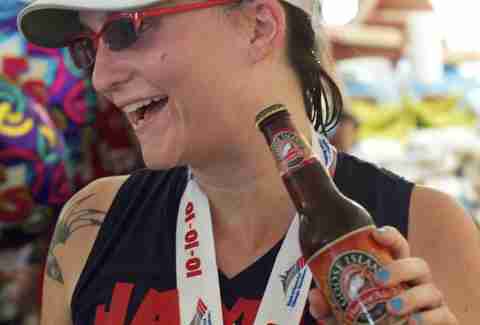 So if you're considering signing up for a race, make sure it offers a beer at the end. Not only will you have a reason to finish, but you might be able to take that runner's high up one more notch. Laura Williams is an exercise physiologist and fitness writer who doesn't always love exercise, but always does it anyway. Tell her all the ways you're adulting today on Twitter @girlsgonesporty.